This is the facelifted Skoda Superb and yes, it looks virtually identical to the outgoing model. 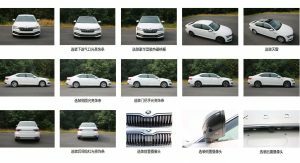 The following images surfaced on a number of Chinese websites, including Kaixian, and reveal the new exterior design of Skoda’s flagship. Picking up on the small details that separate the new vehicle from the old one takes a keen eye. At the front, the headlights retain their familiar angular look but appear slightly slimmer than those of the current model. 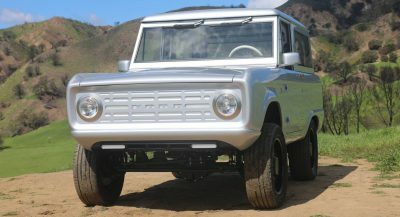 The grille appears identical, but the secondary faux grille on the lower part of the bumper does seem to have been re-shaped and now includes different fog lights. It is the rear where the alterations are most obvious. 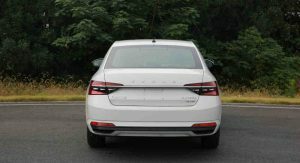 Skoda has designed a set of distinctive taillights which are connected by a horizontal strip of chrome, while the bumper is also a little different. Of more importance than the new looks of the facelifted Superb is what’s going on under the skin. 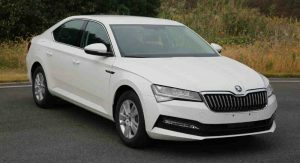 According to previous reports, the new Superb will, like the VW Passat, be offered as a plug-in hybrid. 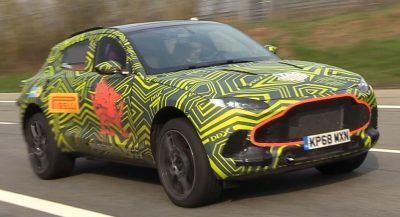 This model will reportedly combine a 1.4-liter turbocharged four-cylinder with an electric motor to provide a total of 215 hp and an all-electric range of roughly 50 km (31 miles). 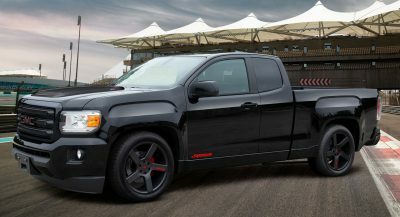 A host of other powertrains will be offered, including a handful using the company’s new 1.5-liter TSI with cylinder deactivation technology. Skoda hasn’t divulged when the facelifted Superb will premiere. However, the Geneva Auto Show in March seems like the logical choice. What’s with the ugly lettering on the back? 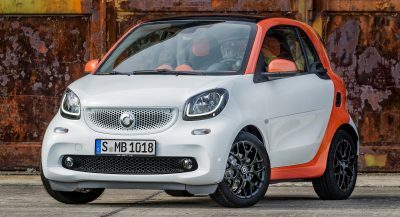 First the new Skoda Rock, now this – it’s so damn ugly and lame. What’s with Skoda ruining their mid-life refreshes….